Knowing that her husband, Edgar, would disapprove of her starring in a play, Florence acts very suspicious about where she is going when a rehersal comes up. 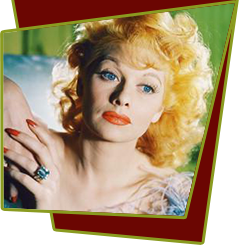 Edgar follows her to the home of co-star Al St. Claire and spies while they enact a scene in which Florence discovers that her lover is married to Lois (Lucille Ball's character). Florence becomes enraged and shoots Al. Edgar thinks the scene is for real. He comes in, finds a dummy of Al stuffed in a laundry basket, and before Florence can explain, carries it away to dispose of "the body". Limbs are spilling out of the hamper as he lugs it down the street and naturally the police soon catch up with Edgar, so before long, all confusion is cleared up. Special Notes: Dummy Ache was nominated for an Academy Award as the Best Short Subject of 1936. It lost to The Public Pays, an installment of MGM's Crime Does Not Pay series. This film is heavily reworked from a silent comedy short, Dumb Daddies (1928), starring comedian Max Davidson. Kennedy himself had a part in Dumb Daddies as a policeman, but takes over the lead in this remake.